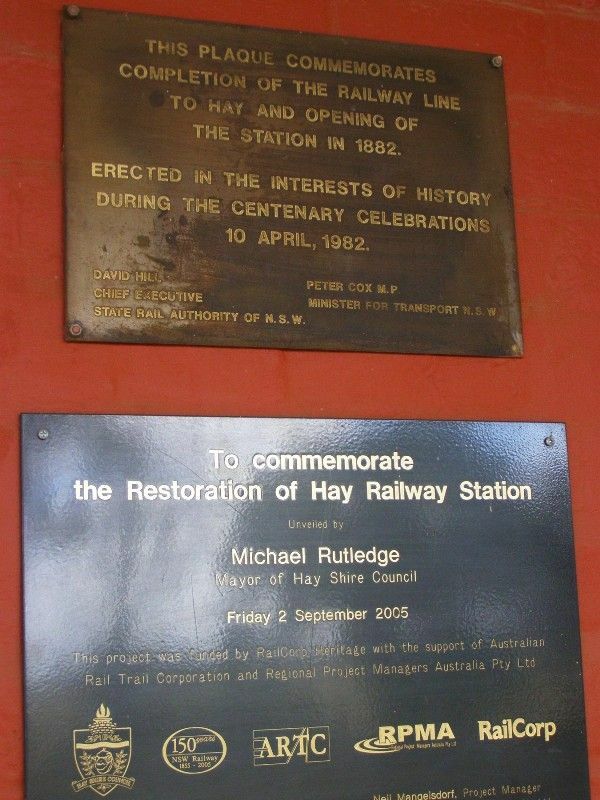 A plaque commemorates the completion of the railway line to Hay and the opening of the railway station in 1882. An additional plaque unveiled in 2005 commemorates the restoration of the railway station. David Hill Peter Cox M.P. Chief Executive Minister for Transport N.S.W. This Project was funded by Railcorp Heritage with the support of Australian Rail Trail Corporation and Regional Project Managers Australia Pty.Ltd.